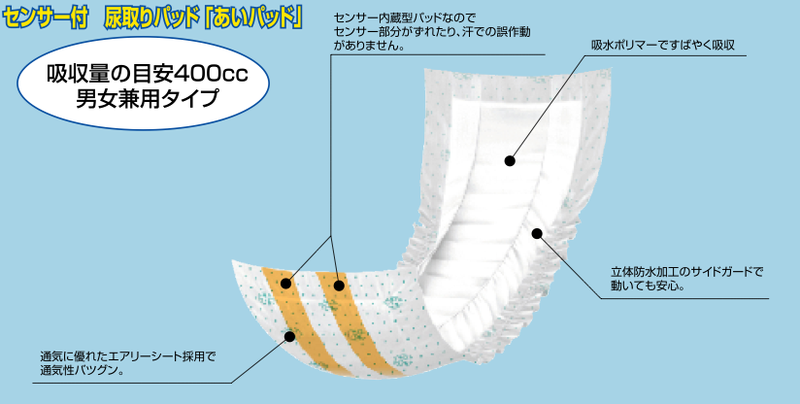 As if there weren't enough iPad jokes already, it turns out that there's a Japanese product—a high-tech adult diaper—called the Aipad. You can guess the pronunciation by the fact that I'm even writing about this. The Aipad has apparently been around for a while and has "2 lines of aluminium [which] can be connected by clip with a small sensor unit. When the diaper soaked, the sensor notifies it via radio waves." Basically it lets people or their caretakers know when it's time for a diaper change.